I failed at finishing my banner project on Saturday…but I got a great start. I am dedicated to getting it done. 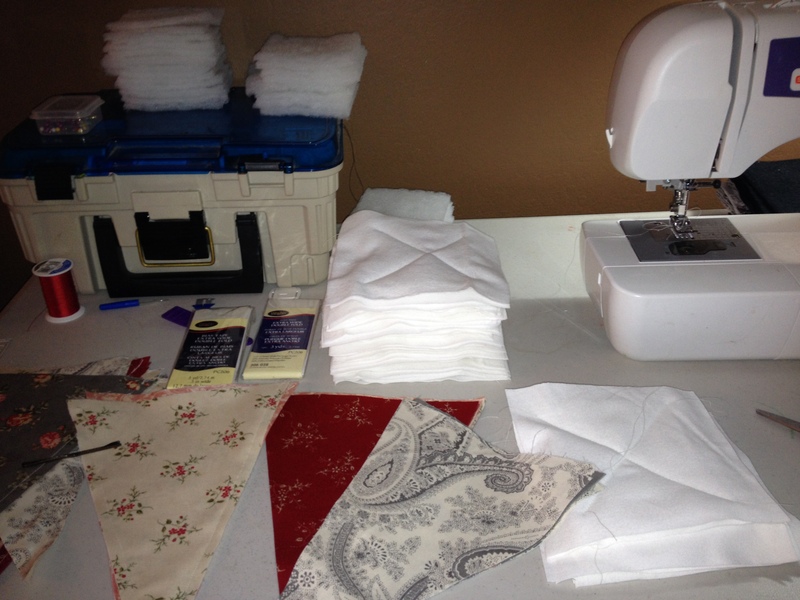 So between nursing a sick boy and managing my girls daily life, I snuck in some time to keep sewing. 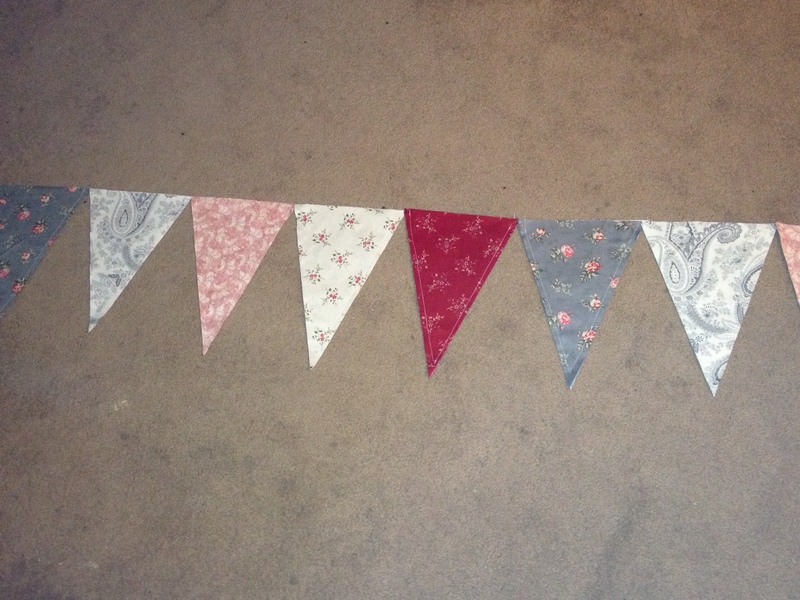 I have all of my pennants sewn I just need to make it into a banner! 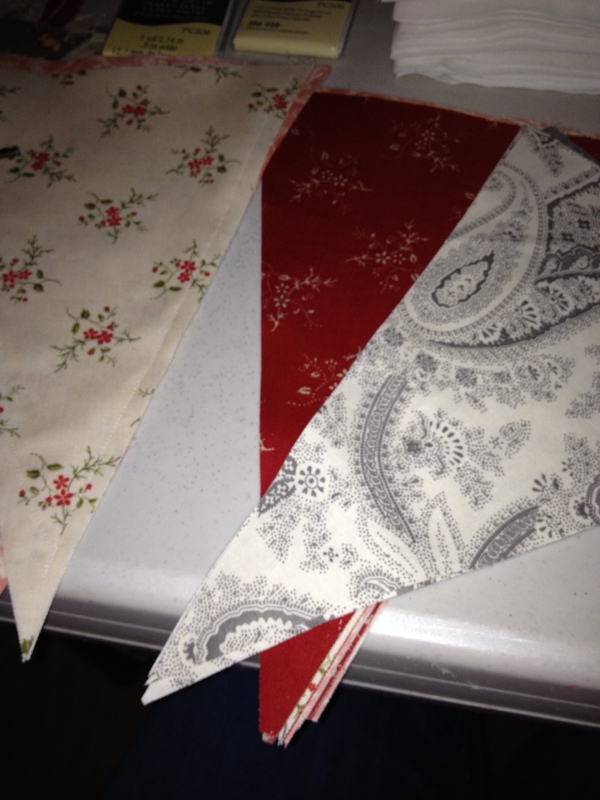 My quilt squares for my rag quilt are coming along also. I am like a turtle…slowly but surly…getting it done. Waiting to be sewn together! I hoping for a finished banner tomorrow and a fully recovered boy!